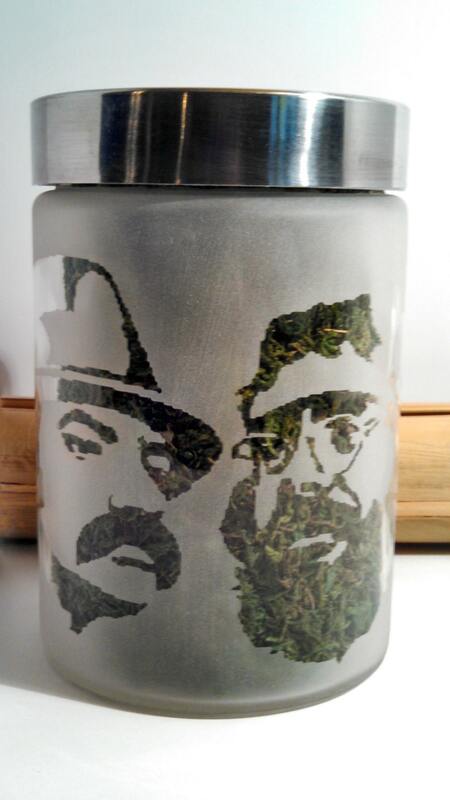 Cheech & Chong stash jar and edibles canisters will keep your weed, edibles and mmj fresh. 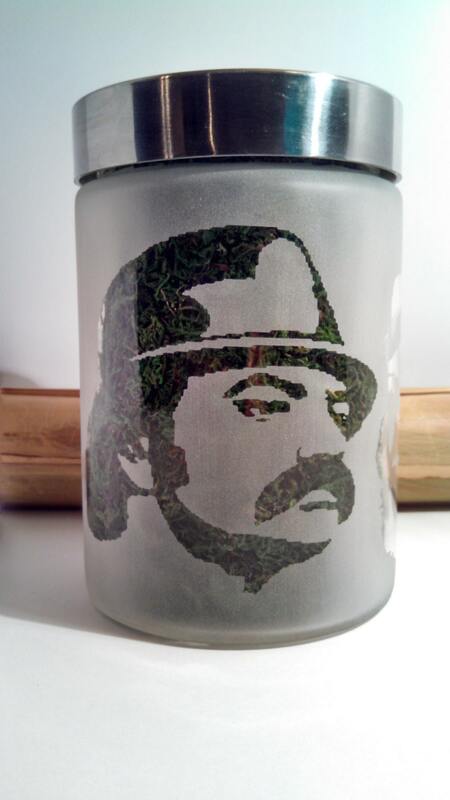 Note: The stash jar image in photo has a Green back drop. 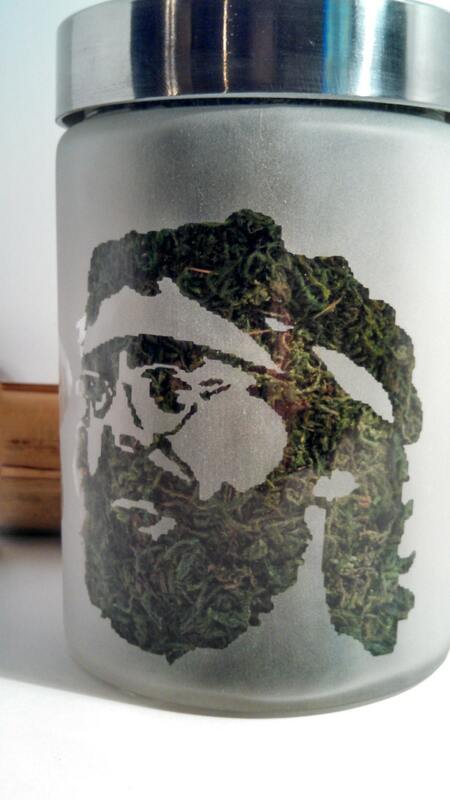 When it arrives to you Cheech and Chong design will be clear glass. All other sides are solid etched. Perfect cannabis Christmas stoner gift to go with your favorite glass weed pipe, herb grinder and glass bong. 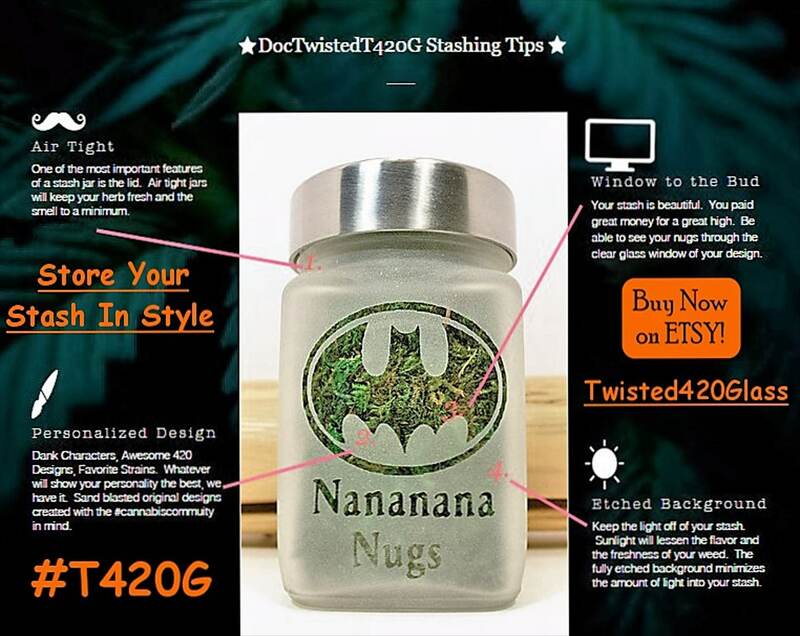 Ordered the edibles jar and stash jars, with one being a customized jar, and love them all! Received all items so quickly even with a customization being done. So happy with the results and the jars itself are beautiful, they are thick glass and keep everything fresh, and contains the smell. Everyone I show them to are very impressed. Thank you Twisted420Glass for a great shopping experience, I will be shopping here again! !